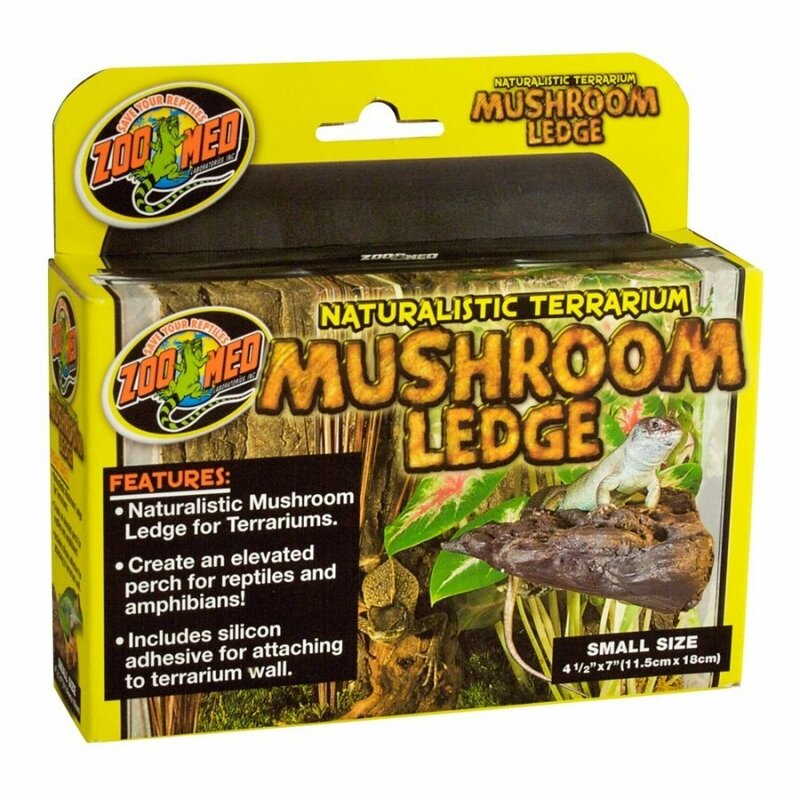 This naturalistic mushroom ledge creates an elevated perch for reptiles and amphibians. Made from a lightweight foam material that has been molded to look like a tropical mushroom. Use multiple pieces. Reptile Mushroom Ledge has different options and/or variations, please choose below. Includes silicon adhesive for attaching to terrarium wall. 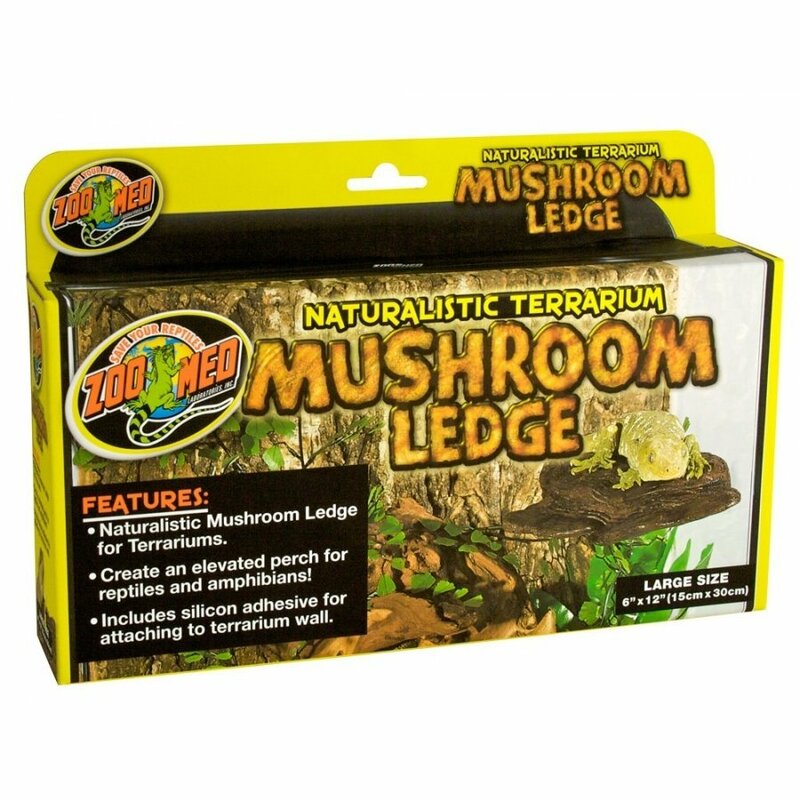 This naturalistic mushroom ledge creates an elevated perch for reptiles and amphibians. Made from a lightweight foam material that has been molded to look like a tropical mushroom. Use multiple pieces to create an exciting, naturalistic terrarium environment for your pet. Includes a small tube of silicone adhesive for attaching to the terrarium wall. Note: Silicone adhesive must be allowed to dry for 24 hours before placing animals in terrarium. Small: Approx: 3-7/8" x 7" x 1-3/4" thick. Large: Approx: 6" x 12" x 2-1/4" thick.